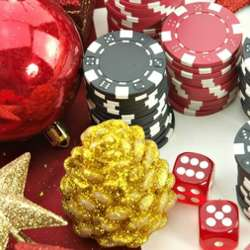 You must be a member of the Panama City Texas Hold´em Poker Night Group to attend this activity. Would you like to join this group? Hi everyone, you are welcome to join to the 1st poker game of Protected content . Its a friendly game just to have fun. This time we are gonna make it in Protected content Calle Uruguay. Hope to see you all there. Best! 1. Buy in 20$ with 0.5$/1$ blinds and infinite rebuys from 18:00 to 21:00. This means that each time you run out of chips, you can buy more from the house. Players can join the table until 21:00. 2. At 23:30 there will be "one and only" add-on of max 20$. Which means no matter how many chips you have, you can buy an extra additional 20 bucks "ONLY" if you want to do so (it’s not mandatory), no cash outs of any kind. 3. No more rebuys nor add-ons after 21:00, from that point on, the game is a closed tourney. No more players can join after 23:30. blinds will increase by 0.5 cents every 15mins. 5. Winner gets 60% of the jackpot, second place gets 30% of the jackpot, third gets 10% of the jackpot. 6. *Nobody can cash out till runs out of chips at the end.